Here is a protest in Croix-Hilaire, locality of Petit-Goâve. The population is demanding more electricity. Petit-Goâve protestors are fed up in Croix-Hilaire. 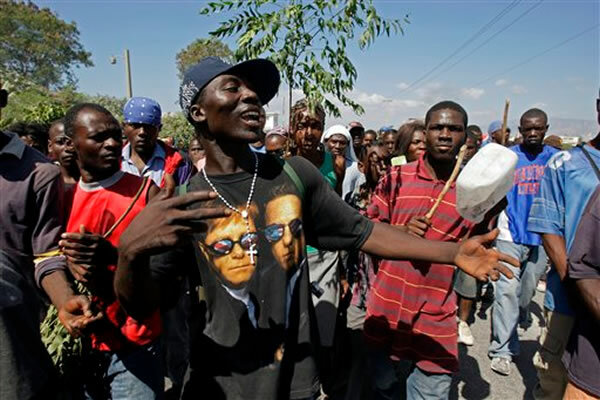 They have gone without electricity for six months, and are telling Electricity of Haiti either reconnect the transformer, or residents will set up barricades of burning tires on National Road #2. Another protest, more peaceful, is being organized by Block of Democratic Opposition to order the government to immediately dismiss Petit Goâve Government Commissioner Me Jean Alix Civil and appoint a new municipal cartel.